A little bit of stress here and there is relatively normal. On the other hand, the pressures of life can get to many people. Emotional and mental disorders are very complex by nature. They can result from long-term feelings of stress, anxiety, and being disconnected from the world. However, processing emotions is not as simple as one would think. The different regions in the brain must work together for emotions to be processed. It turns out that these particular brain regions are disrupted in major depression patients, according to researchers at the University of Illinois at Chicago (UIC) in a new study published in the journal Psychological Medicine. The findings may help determine possible long-term antidepressants for the recurrence and prevention of major depressive episodes. Mental illness is known to affect 40 million adults in the U.S. Major depression in particular is considered the most common mental disorder in the U.S. It is estimated that 15.7 million American adults suffer from major depression. It is thought that 50% of people who first suffer a depressive episode will have another within a two-year period. Previous research has linked depression and other mental disorders to brain network disruption, especially during times of problem-solving and emotional processing. Also, too much of a connection in the area of the brain that is active from self-reflection and rest is associated with depression. Scott Langenecker is an author on the study, and an associate professor of psychiatry and psychology at UIC. He believes if the various connectivity network patterns linked with depression can be identified, then they can determine what networks contribute to multiple depressive episodes. As a result, researchers will be able to develop more personalized treatment by determining what treatment is best for certain connectivity patterns. 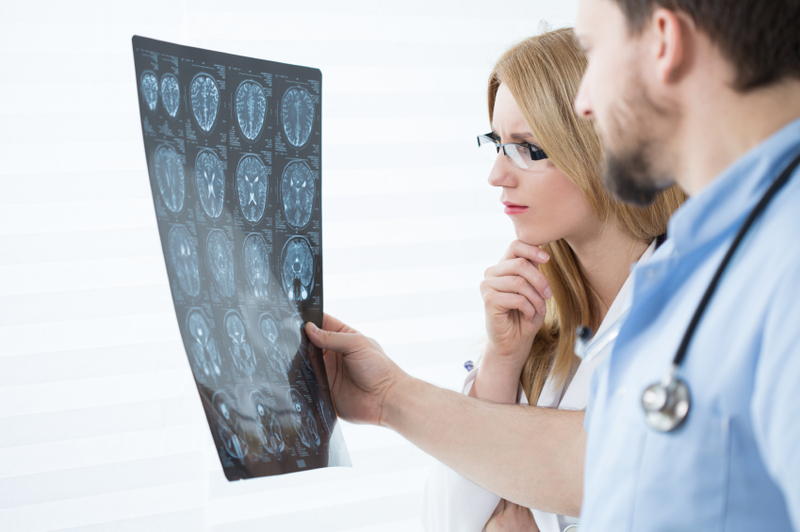 For the new study, the researchers scan the brains of 77 adults with an average age of 21, using functional magnetic resonance imaging (fMRI). Of the patients, 34 were well, 17 had major depression, while 36 of the 51 had at least one depressive episode in the past. The 51 patients were compared with 26 participants who had never experienced depression. All participants had never taken psychiatric drugs. The researchers wanted to see if various network-disruption patterns would have been seen in young adults with one depressive episode when compared to those with several episodes. The fMRI scans were performed at a resting state to help the areas of the brain that are synchronously active. The researchers had found that the brain region involved in emotion detection called amygdala is detached from the emotional network of those with multiple depressive episodes. As a result, emotional information may be processed with reduced accuracy, which could explain why people with depression perceive even neutral information negatively. Patients with at least one depressive episode had also experienced greater connectivity between cognitive and resting networks. When this happens the brain is thought to be adapting to help regulate emotional bias. The study only provides a snapshot of the brain at a single moment, and longer trials would provide more data on whether the brain patterns can help predict multiple episodes and major depression. It is not the first time this research team has studied emotional brain networks in people with depression. In a 2014 study published in the journal PLOS ONE, the UIC researchers had discovered that young adults with a previous history of mental illness had hyper-connected cognitive and emotional brain networks. Langenecker, S., et al., “Decoupling of the amygdala to other salience network regions in adolescent-onset recurrent major depressive disorder,” Psychological Medicine, January 2016, doi: 10.1017/S0033291715002615. “Major Depression Among Adults,” National Institute of Mental Health web site; http://www.nimh.nih.gov/health/statistics/prevalence/major-depression-among-adults.shtml, last accessed January 25, 2016.